This work deals with the problem of death and God’s solution of resurrection and immortality through the work of the Lord Jesus Christ. This work deals with the problem of death and God’s solution of resurrection and immortality through the work of the Lord Jesus Christ. 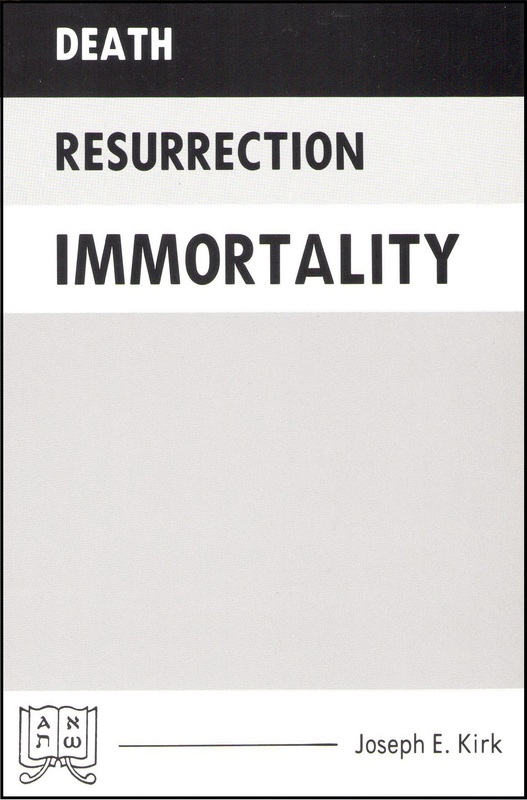 Writing during his final illness, the author was not anticipating a passage into an intermediate state between death and resurrection, but rather looking forward to the gift of life and immortality provided by Christ’s victory. The widely accepted teaching of the immortality of the soul, which makes resurrection unnecessary and detracts from the value of our Lord’s sacrifice, is shown to be unscriptural. There are provided concordant studies of the words “soul” and “spirit,” which are certain to be of much value to the reader who wants to find scriptural truth on these subjects.